How to Choose a Siding Material - Classic Remodeling Corp.
With the numerous siding options available today, finding one that suits your home best can be a daunting task. Your siding is vita to your home’s protection. As such, choosing carefully is of utmost importance. You want a material that can effectively balance three main factors: cost, durability and appeal. Our professionals at Classic Remodeling Corp. have helped countless homeownerss in New Jersey choose a siding that perfectly matches their needs. That’s why we’ve listed down a few guidelines to help you through the whole selection process. The Vinyl Siding Institute in Washington, D.C. reports that vinyl holds 31% market share in the siding industry, a whopping six points above the next biggest contender, brick, at only 25%. There’s a reason why vinyl enjoys this level of popularity and much of the credit goes to its known durability. Unlike wood siding, vinyl is practically impervious to rot and requires less frequent re-painting. Many siding and roofing companies prefer vinyl because it’s the most affordable siding material by far, and subcontractors like how easy it is to work with. Finally, the demand for vinyl siding has given way to an almost endless list of styling options that homeowners simply love. Fiber-cement boards gained ground early during the 90’s and are showing very little signs of slowing down any time soon. This composite material is comprised of cement, minerals and cellulose, fabricated under high pressures and temperatures. It’s available in a number of styles but the most common ones are traditional shiplap boards and panels. As far as durability goes, fiber-cement can definitely hold a candle to vinyl, warranted to last over 50 years on average. Additionally, this material is also resistant to rotting, termites, water, fire and most of the other common problems that plague other siding types. 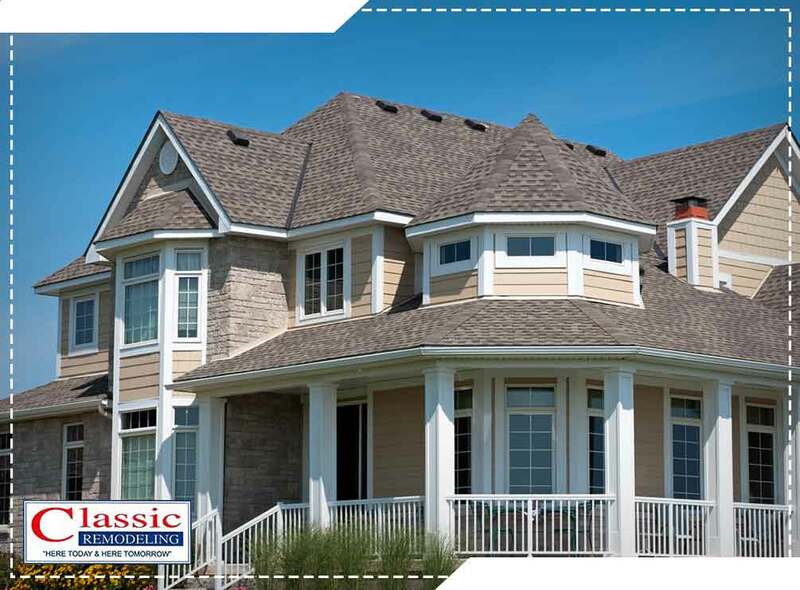 At Classic Remodeling Corp., we are your number one go-to roofing and siding contractor for all your exterior remodeling needs. Give us a call at (201) 228-9006 or fill out our contact form to request a free estimate today. We serve clients in Paramus and Hackensack, NJ, including all surrounding areas.